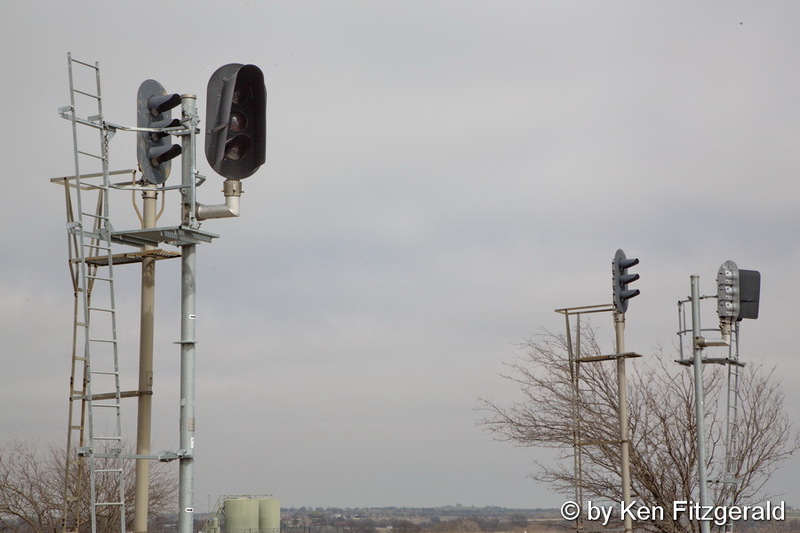 Ken Fitzgerald's railroad photography, railroad radio frequencies and locomotive horns. 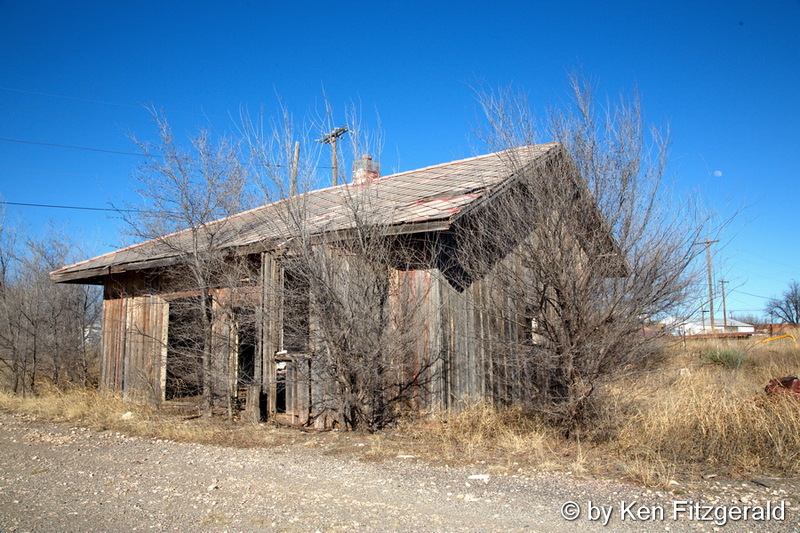 February 26th found me driving from Fort Worth to a photographic engagement in Amarillo. 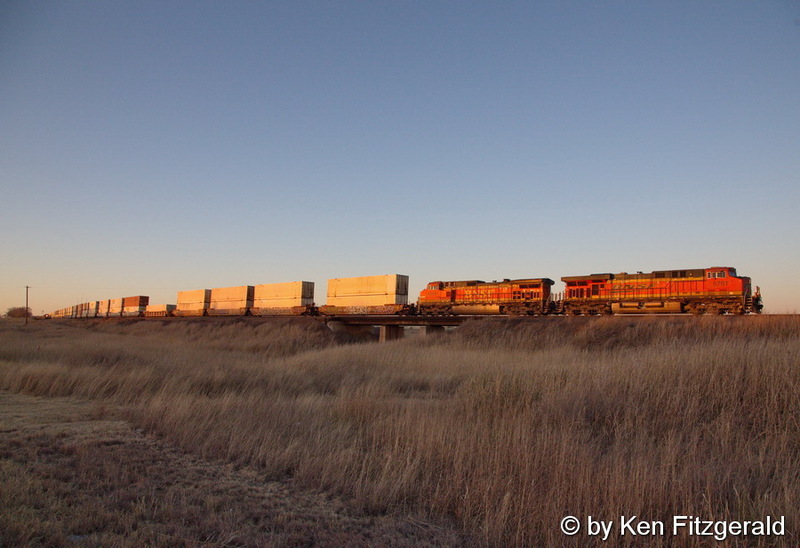 The first train I encountered on the Wichita Falls Sub was an eastbound loaded coal train holding at Herman where the siding in the foreground is being extended another 2000-feet to the east. 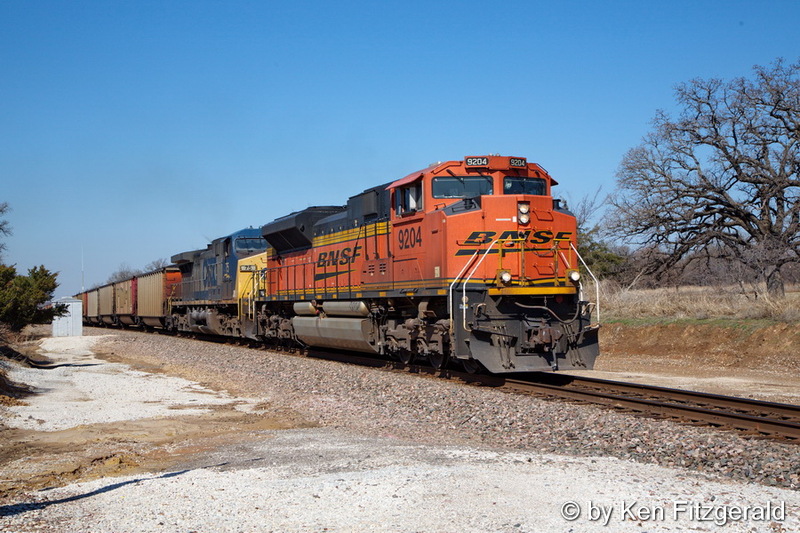 At the west end of the siding I paused to capture the new replacement signals turned away that indicate the upgrade of the Wichita Falls Sub to CTC from ABS signalling. 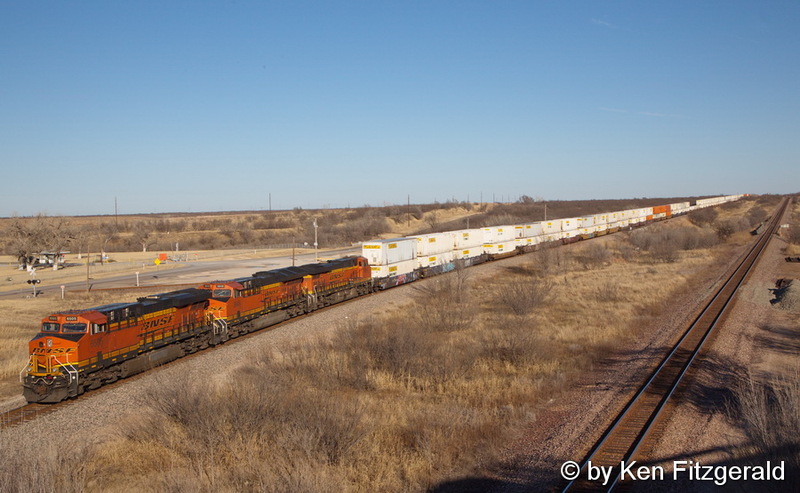 The loaded coal train holding the main at Herman met a westbound intermodal. 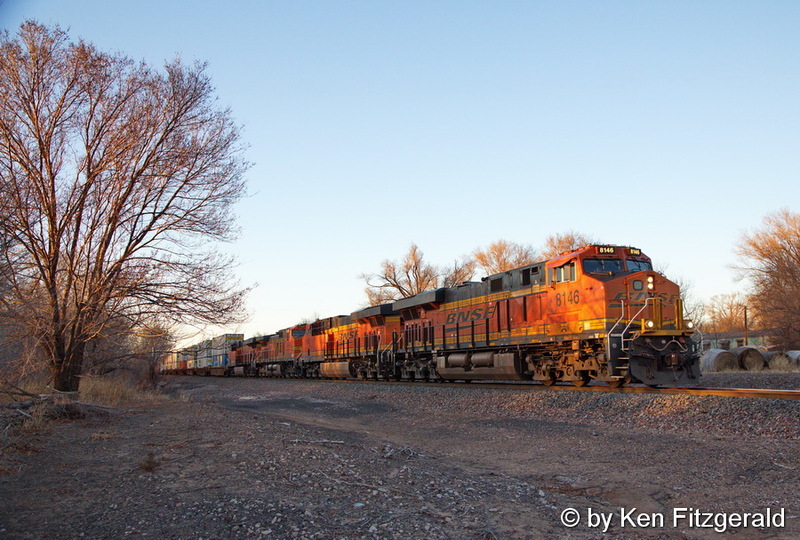 Since the westbound was coming out of the sun I stopped at the east switch at Decatur for get a better lit side view. 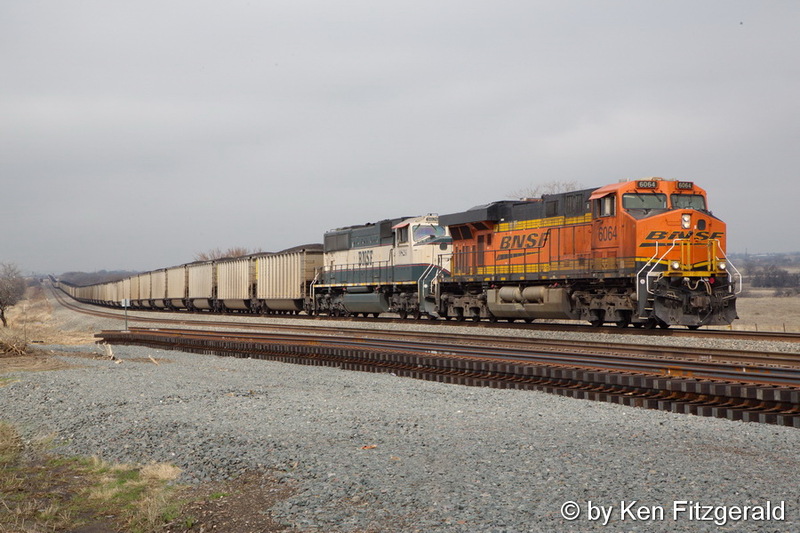 There was another eastbound loaded coal train waiting for the intermodal at Alvord, so I made my way to the County Road 2395 crossing between Decatur and Alvord in time to catch the coal train accelerating for the run up Decatur Hill. 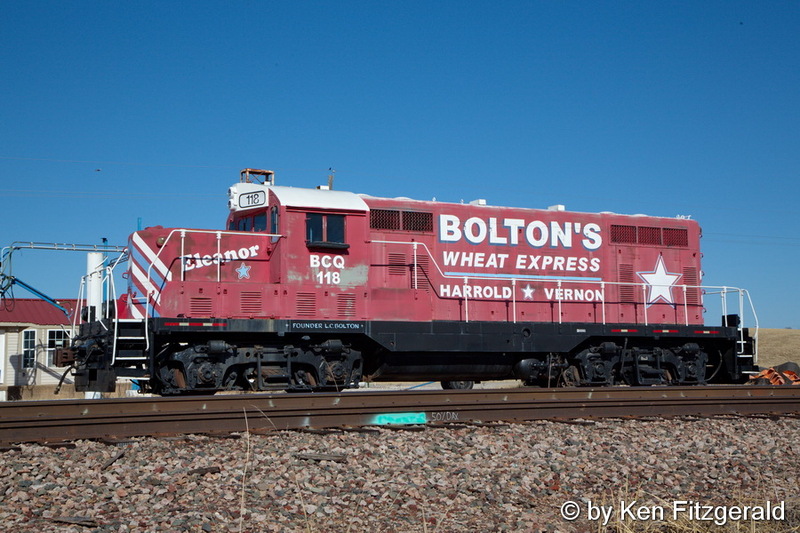 From here I had a long run to my next stop at the tiny town of Harrold where ex-MKT GP7 #118 sits waiting for any future work. Pulling over in Vernon I found three for-lease switchers also cooling their heels. 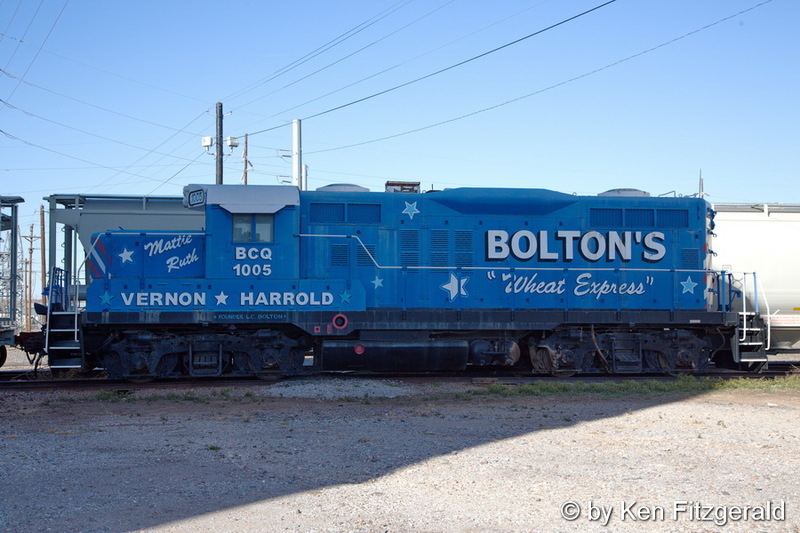 Parked in the shadow of the elevators was ex-PRR GP10 #1005. 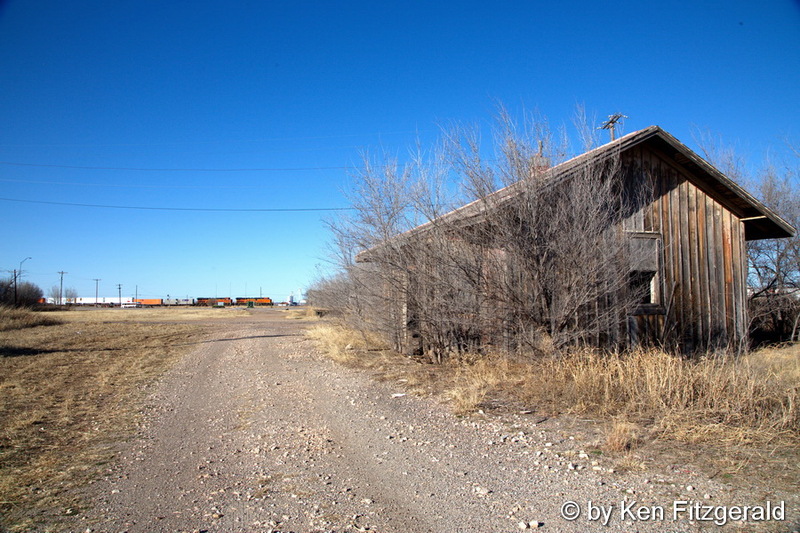 About twenty miles further west up Highway 287 made a stop at the long abandoned ex-KCM&O then AT&SF depot. 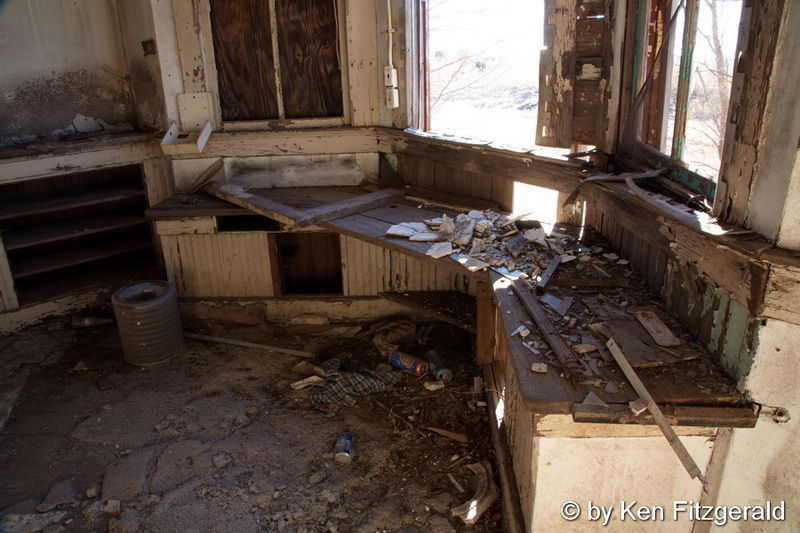 The old depot looks worse on the inside. 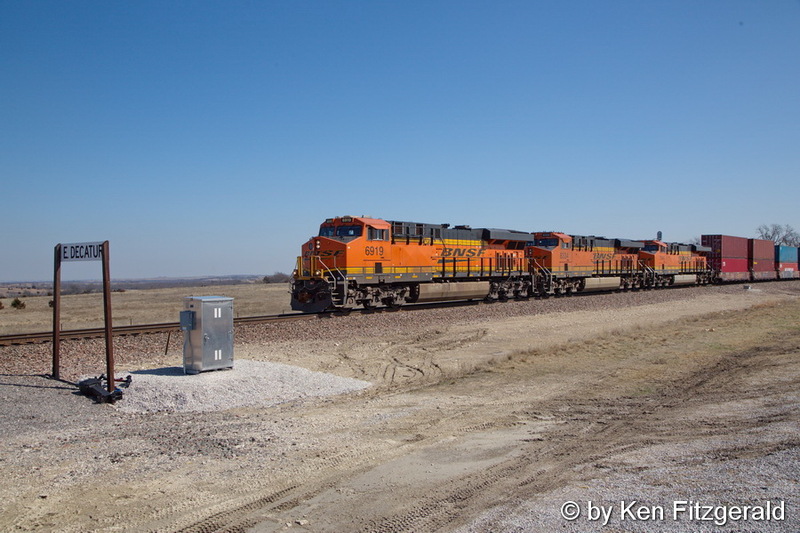 As I prepared to continue my journey an eastbound intermodal train roared through town as I looked north up the now empty right-of-way to where the diamond crossing the ex-FW&D then BN once existed. 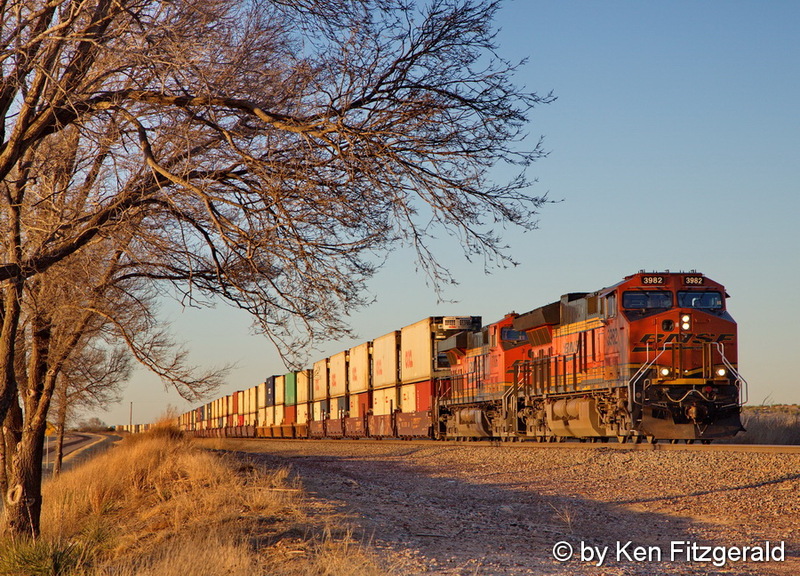 West of Quanah at Acme I pulled over on the shoulder of 287 where this westbound intermodal was waiting at the west end of five miles of double track. 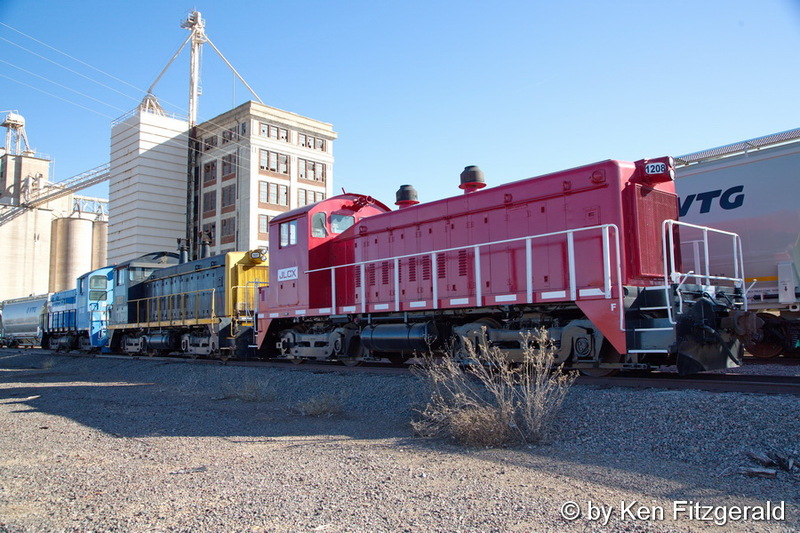 The intermodal is holding on what used to be the Quanah, Acme & Pacific mainline with the ex-FW&D on the right. 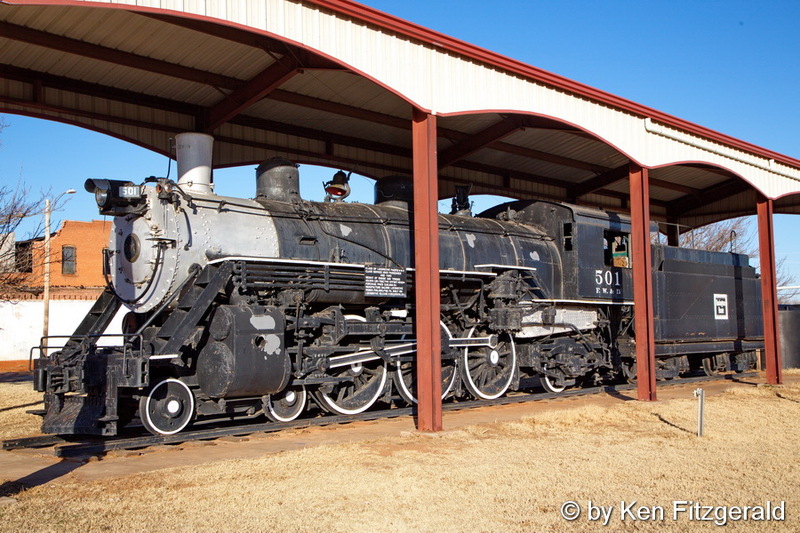 At Childress ex-FW&D 4-6-2 #501 is on display between the fire station and the tracks. 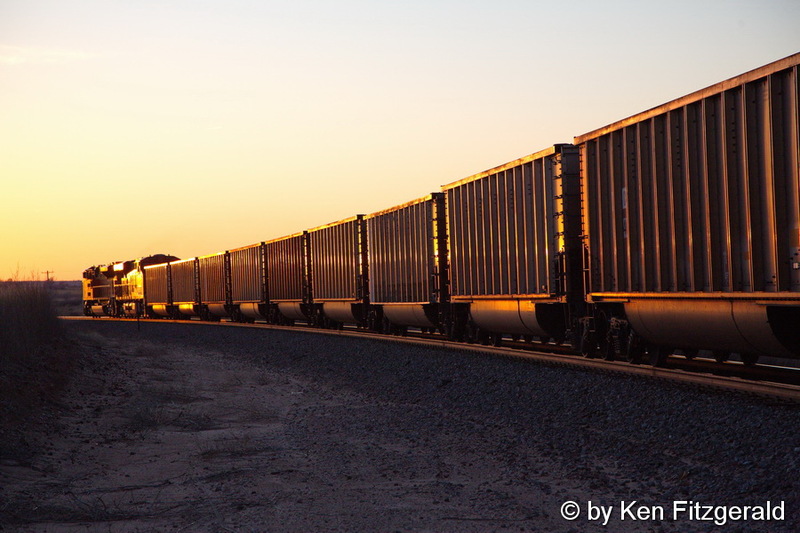 West of Memphis I pulled over and caught an eastbound intermodal as the sun was now low in the sky. 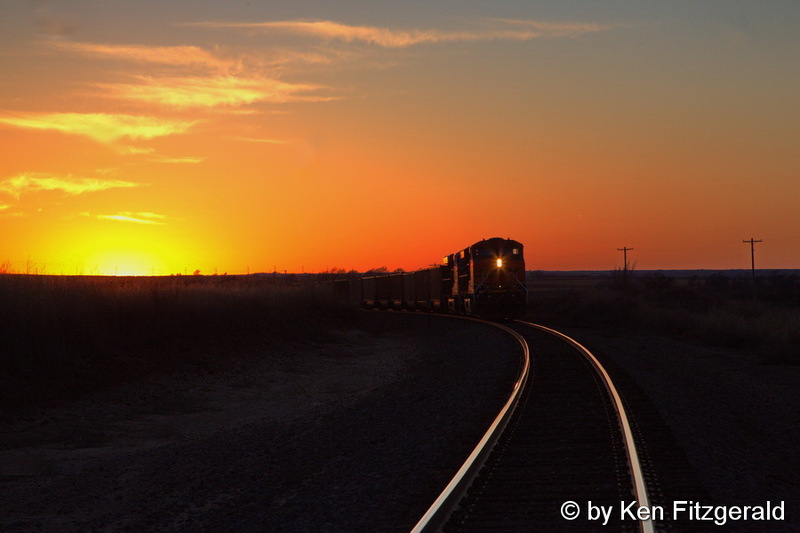 A few miles further west I pulled down a dirt road and captured a second eastbound. 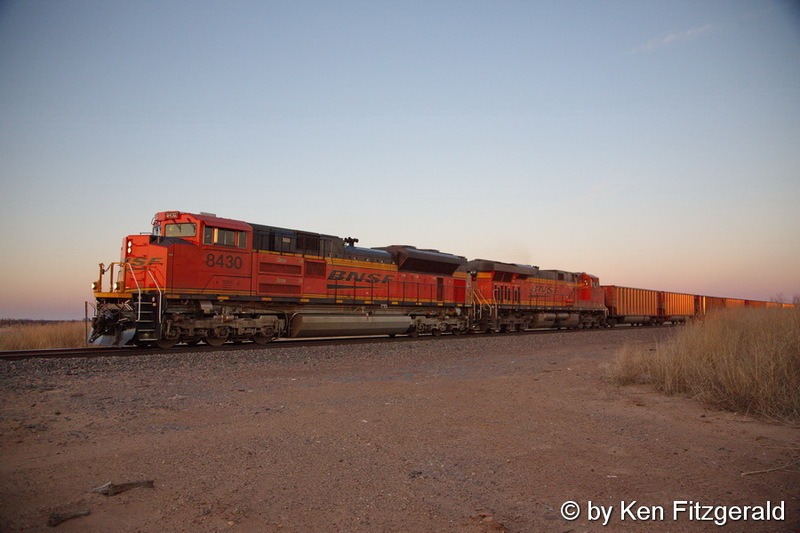 I made it to the east switch at Hedley for a third intermodal train in the last few seconds of light here. In the distance you can see the headlight on the DPU of a westbound empty coal train in the siding. West of Hedley I pulled own the first road that went to the track and captured the two SD70Ace’s up front on the empty coal train. The two going away shots were exactly what I wanted in the last rays of sun for this day. At this point picture-wise I thought I was done for the day, but as I paced the westbound empty coal through Clarendon in the increasing darkness I suddenly spotted a dream shot. 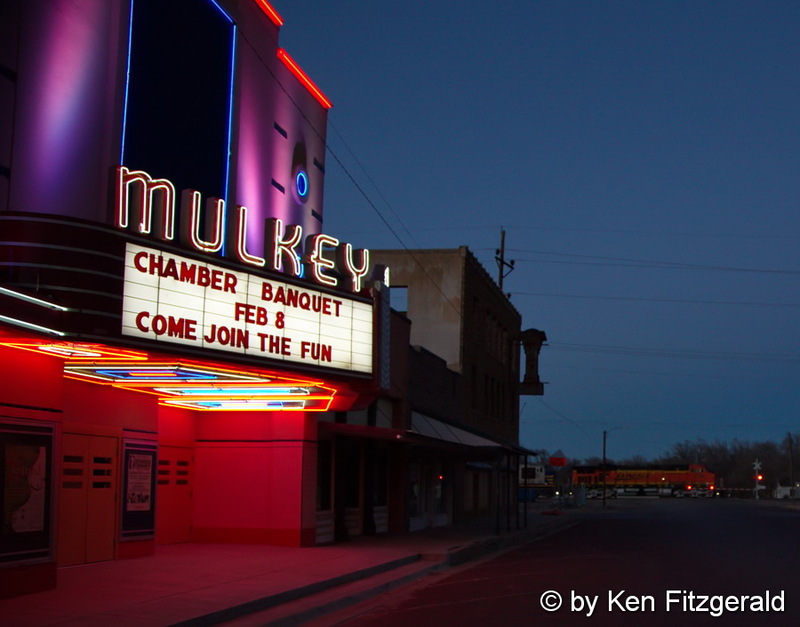 The old movie theater marquee down a side street leading to the tracks was all lit up as the head end of the train passed by. Thinking quickly I turned right at the next block and then two more rights to a parking space past the theater. The train was speeding by in the background and I had less than 30 seconds to choose the best manual settings to preserve this scene as the DPU’s exited stage left. It is too bad that the marquee was not advertising a film but I am still happy with the results as February 8th is a special day to me! This entry was posted in Blog Posts. Spectacular photos, Ken! They just got better and better as the day came to an end. Love the going away shots in the sunset. Beautiful.